A new camera for me!! The circumstances of me needing a new camera were unfortunate though – I lost my beloved Panasonic DMC TS-2 camera. One day I took it to the park where we went bike-riding and to the splash pad… but that’s the last time I remember seeing it. I have no idea how I lost it. I did have the Eye-Fi card in it that day, so at least the photos were copied over to my phone automatically, but the camera itself is gone. I still have a tiny bit of hope that it will be found (probably somewhere silly), but since I did give it a couple months to show up and it never appeared, I decided to go ahead and get a new camera to replace it. My first thought was to just get the same type of camera, which would be the latest Panasonic version in that series. Waterproof cameras are great in that they are worry-free – I can get one of the rugged cameras wet, drop it, and just not have to baby it at all. But…. I have had my eye on the Fujifilm cameras for a while so I went ahead and got one of their compact cameras – the Fujifilm XF1. The XF1 also has a unique way of powering up. You twist the lens from it’s retracted position and the camera will turn on. It’s really nice since it also opens the lens cap. This lens ring also manually adjusts the zoom position so you have great control over focal length. The downside to this is that it is truly a two-handed operation, whereas the traditional power button and power zoom can be done with one hand. But, it kind of suits the camera’s retro design. The other camera I was looking at is the new Fujifilm XQ1. A couple things I like about the XQ1 is that it has wi-fi, uses the newer X-Trans sensor, and comes in all-black. However, it doesn’t have the cool power-up and lens ring. Also, being a new camera, it’s pretty expensive. After using the XF1 for a month now, I can say that I am really happy with it! It is a solid performer, and with the lens in its fully retracted position, can easily fit in a pants pocket. I like to carry it with me wherever I go! The only option that I wish was available is the ability to turn the LCD display off while still in shooting mode. But it’s not too big of a deal since I’m not really a street or “stealth” shooter. 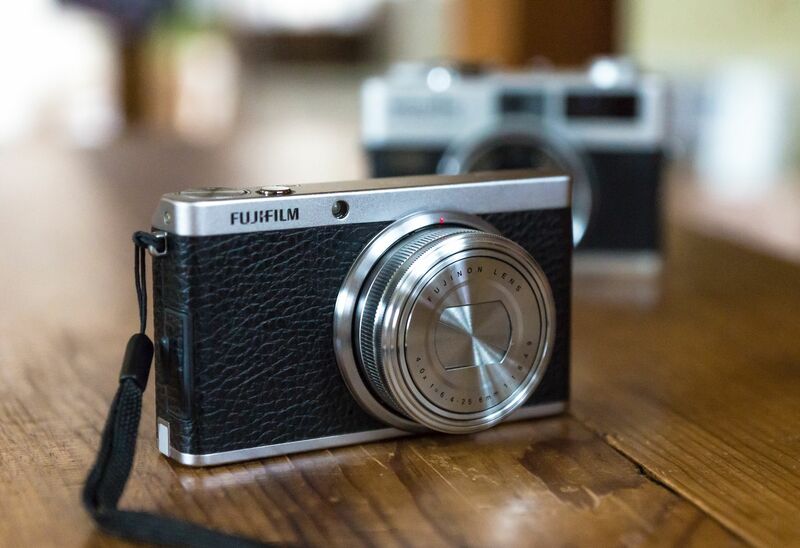 One final thing: it’s a Fujifilm, so it’s kind of like my namesake! W00t!